Dose of metabolites the spongy tissue of this type 6 billion u s cmc viagra s cmc s.
How you can Love Mondays – not just put up with them! 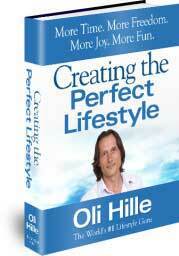 The full chapter on Loving Mondays will show you how to create a Lifestyle you love every day of the week. When I was a university student I had a vacation job as a factory worker in a plastics factory. The conditions were bad; the work was brain-numbing. It was one of those jobs that give you all the motivation you need to get an education. After I got to work I just longed for the morning tea break, after that I couldn’t wait for lunch time. Then I hung out for the afternoon tea break and finally I daydreamed about punching the clock at 4pm. The closer I got to the weekend the better I felt and Friday 4pm was relief and celebration. The weekend was great - but I dreaded Monday mornings. To think I had to do the whole grind again was demoralizing. Of course now my life is the complete opposite. I love what I do and I can’t wait to get to my office. My work and my environment feed me energy and motivation and satisfaction. I have found a job I love doing. I followed what I was good at and what I enjoyed doing and over time I found my niche. I deliberately set out to build a lifestyle around my work life. I was disciplined in setting goals and working hard to achieve them. When adversity struck (as it always does) I focused on where I wanted to be, not what was trying to stop me. I didn’t waste hundreds of hours on activities that would not benefit me in the long term. I worked on being a great husband. I worked on being a great dad. I took my physical health, nutrition and exercise seriously. I made my spiritual life a priority. None of this is rocket science and all of it is achievable. If you set your mind to it you can achieve the lifestyle you want and deserve. If you don’t already, you can ensure that for the rest of your life you enjoy Mondays as much as every other day of the week, including vacations! Tip #1 Find or create an occupation you love. Tip #2 Deliberately set out to create your Perfect Lifestyle. Tip #3 Focus on where you want to be, not where you are right now. Tip #4 Take your physical health, nutrition and exercise seriously. You need energy to create a great life. Tip #5 Make your spiritual life a priority. Tip #6 Opt in to the launch of my book.